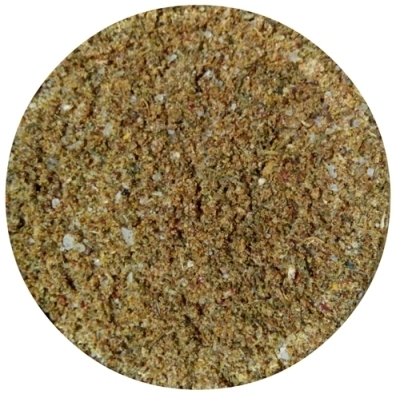 White sea salt, processed in a grape vinegar, utskho-suneli, coriander, dill, cumin, red hot chili pepper. 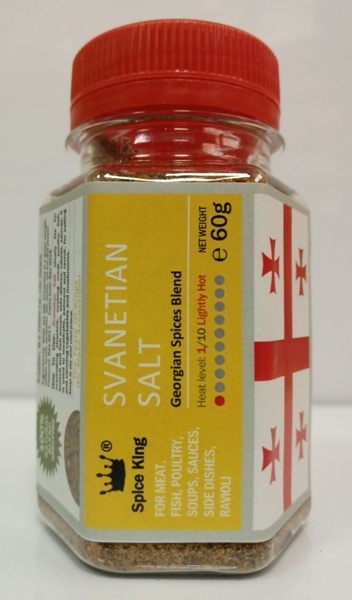 Svanetian Salt (Svanuri Marili - from Georgian) ideally fits for marinating shashlik, cooking meat, poultry, fish, borsch and fish soups, side dishes, salads, sauces; it is used to meatballs, pelmeni and ravioli, for salting and canning vegetables and mushrooms. 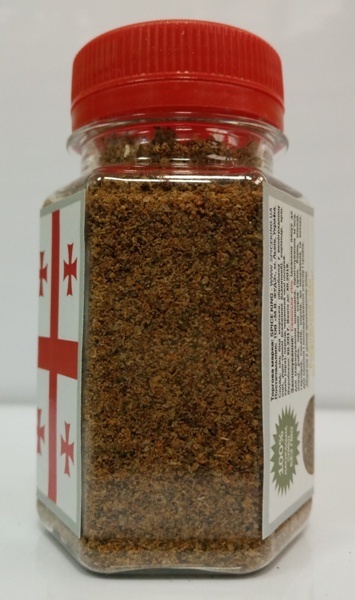 2x1L PET bottles - 1 kg net weight - USD 19.80/2bottles.